You never know what to expect from Jack White. One day he’ll release a rock song and the next he’ll produce one of the greatest Loretta Lynn songs of all time. Now, Jack is back with something that’s new and interesting. It’s a little blues. It’s a little country. It’s Love Interruption. Jack gets away with a lot in his music. He throws out all kinds of crazy images like murdering his mother and other crazy stuff. This is certainly not something you’ll hear on country radio and I don’t know that this particular song will get radio play. But that’s not the point with Jack White. He carves his own niche in various genres and he’s really a pretty smart guy for doing so. He kind of makes people feel uncomfortable and confused, but beyond that there are great melodies that people enjoy. I think that’s the case with Love Interruption. You can hear the song from afar and realize you like the melody. You’ll move your head back and forth and really get into it. I’ve found myself playing this video over and over and usually I don’t do that. 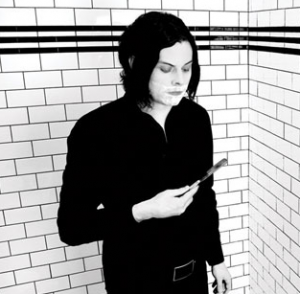 However, with Love Interruption I feel like Jack has once again tapped into the unique element that made the White Stripes so cool. This kind of music is just interesting. It’s hard to explain. You don’t hear songs like this and that’s why it’s interesting. You want to know more about it and as a result you just play it over and over. With the lyrics it seems like Jack is fighting with the emotion of love. We all fight with that emotion in our lives. Sometimes we get confused with love and really don’t understand how our lives can become turned inside out. Life is confusing and so is love. Great song here by Jack White. It’s really good even if you are used to the mainstream country tunes. This is a great track if you like something a little different. Looking through my reader and I see Jack White on CML. Had to look twice. 🙂 Then I listened and I get it. Way to broaden the horizon a bit. Good post!